The National Prosecuting Authority (NPA) has passionately defended its head, National Director of Public Prosecutions (NDPP) Shaun Abrahams against allegations by lobby group AfriForum, calling it "a desperate campaign to besmirch" his image. Earlier on Wednesday, the group approached the Silverton police station to have Abrahams charged with corruption, fraud, theft, extortion and forgery. AfriForum alleged that Abrahams and other senior officials were implicated in fraudulent travel claims. But the NPA's Luvuyo Mfaku said the allocation of a specialised covert vehicle, by the Office for Witness Protection to the national director, was in line with normal security practice. "It is vehemently denied that the vehicle was allocated to the National Director for personal, private use. There was no corruption whatsoever involved in the use of the vehicle," Mfaku said in a statement on Wednesday. He added that Abrahams never requested the enhancement of his security detail. AfriForum received an anonymous letter that contains serious allegations of criminal conduct. The group's anti-corruption unit head Monique Taute said in a statement that one allegation was a covertly-funded fraudulent travel claim from four members of the NPA. 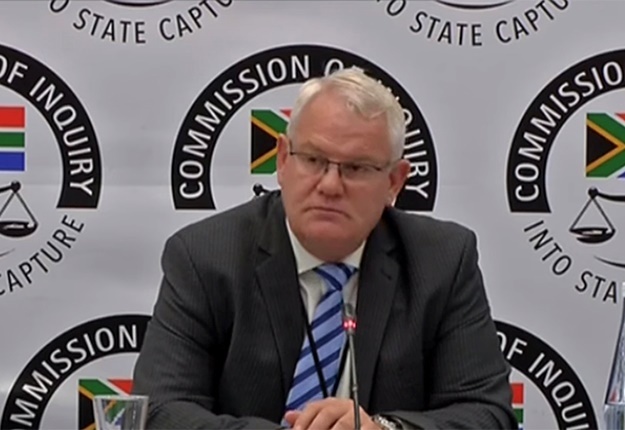 "The claim, submitted for authorisation to travel to Zeerust, misrepresents the fact that they actually travelled to Cape Town and spent R97 000 of these covert funds," Taute said. According to Taute, the letter alleges that a witness protection vehicle was allocated to the NDPP, who used it for personal benefit. She added that Abrahams had "corruptly ensured a personal and/or gratuitous official benefit, to which he is not entitled". The letter from "concerned NPA staffers who are opposed to the misuse of power", was sent to AfriForum in March. The allegations were reported to the anonymous anti-corruption hotline. According to the report to the hotline in March 2017, allegations were also made against other senior NPA officials. In February last year, the officials were supposed to go on an official trip to Zeerust, the letter stated. Instead, they travelled to the Western Cape and booked into a hotel for seven days. They allegedly submitted fraudulent documentation when applying for the funding and stated that they intended to go to Zeerust. It was also alleged that they spent R97 000 on accommodation and food. The funds were allegedly withdrawn in one transaction from a bank account holding covert funds. Taute requested the police to investigate the allegations made in the anonymous letter. However, Mfaku said Dawood Adams, who is a special director and the former head of the witness protection unit, was never in Zeerust or Cape Town at the time and denied having submitted alleged fraudulent travel claims. "The Integrity Management Unit (IMU) of the NPA has been conducting investigations since 2017 regarding the allegations of fraudulent subsistence and travel claims. "The IMU has a mandate to investigate allegations of alleged misconduct by NPA officials and it is standard practice to refer allegations of criminality to the police."